LLUMAR UVShield window tinting film provides 99.9% protection from the sun's harmful UV rays without noticeably darkening your car's windows. UVShield window film has been recommended by the Skin Cancer Foundation as a means to shield you and your family from harmful UV radiation while in your vehicle. UVShield blocks 99.9% of both UVA and UVB rays while leaving your windows optically clear. Why do I need UV Shield? UV rays have been linked to various types of skin disease including skin cancers such as Melanoma and Basel Cell Carcinoma. Studies have predicted that "One in five Americans will develop skin cancer..." and the rates of the most deadly form of skin cancer, melanoma, have risen dramatically. Most people believe that as we get older our skin naturally begins to wrinkle and sag. While that is true to some extent, scientists believe that as much as 80% of these signs of aging are in fact due to sun exposure. The effects of UV exposure are cumulative and take years to become apparent. In addition to wrinkles, many other signs of aging: liver spots, moles, and white patches are also related to sun exposure. UV rays are a major contributor to fading of your vehicle's interior. While UVShield does not eliminate fading (fading is a chemical reaction that involves UV rays, visible light, heat, and humidity) it can virtually prevent ultraviolet fading by blocking 99.9% of the UV rays from entering. UVShield can help hold shattered glass in place in the event of an accident. This can prevent dangerous shards of glass from flying into the vehicle and seriously injuring its occupants. The film forms a protective sheath on the interior glass surface. UVShield comes with a Lifetime Guarantee. FAMILY ROAD TRIPS WITHOUT 99.9% UV PROTECTION CAN BE DANGEROUS. Llumar UVShield is an optically clear film that is professionally applied to the interior of your car's windows. UVShield's virtually invisible protection blocks 99.9% of harmful UVA and UVB rays and is backed by a manufacturer's Lifetime Warranty. UVShield can be applied to almost any vehicle and since it has such high visible light transmission, it is legal in all 50 states. UVShield bonds itself to the glass and can even help hold shattered glass in place in the event of an accident. UVShield is manufactured by CPFilms Inc., the world's largest manufacturer of window film. Llumar UVShield is designed to absorb 99.9% of the UV radiation from 320nm to 380nm on auto glass. Both the Skin Cancer Foundation and the XP Foundation have recommended UVShield as a device for UV protection of the skin. Question: Why does someone need this product? Answer. 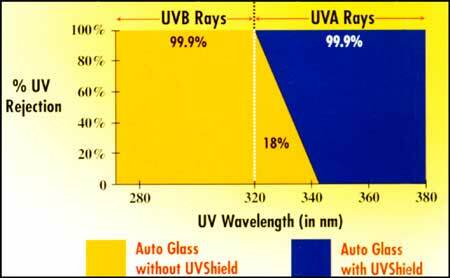 Automotive glass (except windshields) only protects occupants from UVB rays. It has been found that UVA rays have detrimental effects on people and UVShield provides 99.9% UVA protection in addition to UVB. 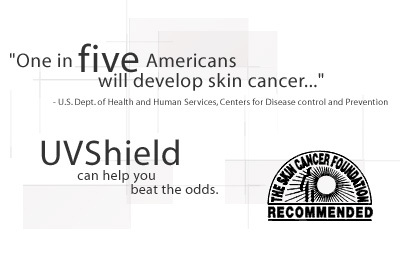 UVShield is also the only automotive window film to have received the Skin Cancer Foundation's Seal of Approval. Question: Why would someone want UVShield instead of conventional glass tinting? Answer. Many individuals do not like 'tinting'. They want a clear appearance on their vehicle. UVShield at 70% visible light transmission on glass provides a virtually clear appearance. Also, in many states tinting is either illegal or has limited application. Question: Why would someone care whether their tinting is 99% or 99.9%. Answer. 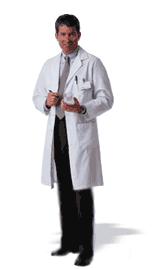 If an individual has any type of sun sensitivity they want the highest level of protection. UVShield at 99.9% covers a wider range of UVA wavelengths than other films. Question: Does UVShield provide the same degree of solar protection as darker tinted films? Answer: No, because UVShield has such a high light transmission it does not provide the heat and glare reduction of darker (50%, 35%, etc.) glass tinting. Question: How long will the film last? Answer: UVShield has a lifetime warranty to the original owner of the vehicle against cracking, peeling and bubbling. The ultraviolet absorbing properties of the film may change very slightly over the lifetime of the film depending on atmospheric conditions. Individuals with medical conditions and UV sensitivity should have their film checked after 3 years to ascertain any change, which they feel may be detrimental. The warranty does not cover replacement for UV absorbency changes. Question: Are there competitive products equal to UVShield? Answer: No, UVShield is unique. CPFilms has applied for a patent and is the only company making a film with this unprecedented level of UV protection. Question: Will UVShield prevent my vehicle interior from fading. Answer: No film product prevents fading entirely. Fading is a chemical reaction to a combination of heat, light and ultraviolet. While UVShield will reduce fading and interior damage, no product eliminates fading. Question: Why does UVShield cost more than some of the traditional films? Answer: Because it is difficult to make a high light transmission product with such a high level of UV absorbers and still maintain good optical clarity. You more than anyone know the dangers of UV ray exposure. Yet your patients may not be aware of the dangers of UV exposure while riding in their vehicles. Many people have a false impression that auto glass protects them from UV rays. UVShield provides the means to protect yourself and your loved ones in their vehicles. By calling 1-800-479-8468 As you are well aware, prevention is key when dealing with skin cancer. UVShield provides needed protection and should be an integral part of any skin care program. Llumar Magnum films are available with a patented, scratch-resistant (SR) coating - the industry's toughest and most durable coating for polyester films. This crystal clear SR coating assures care-free maintenance with most conventional methods of window cleaning. Llumar window tinting films are well known for their energy efficiency. The Llumar Magnum series offers combination films which provide the high-heat rejection properties of the most energy-efficient films with the added degree of protection that only safety films can offer. All Llumar Magnum Safety and Security Window Tinting Films are backed by a warranty issued by its manufacturer, Courtaulds Performance Films, Inc., the largest manufacturer of window films in the world, against cracking, demetallizing and delaminating when installed by a trained Llumar dealer in accordance with factory procedures.